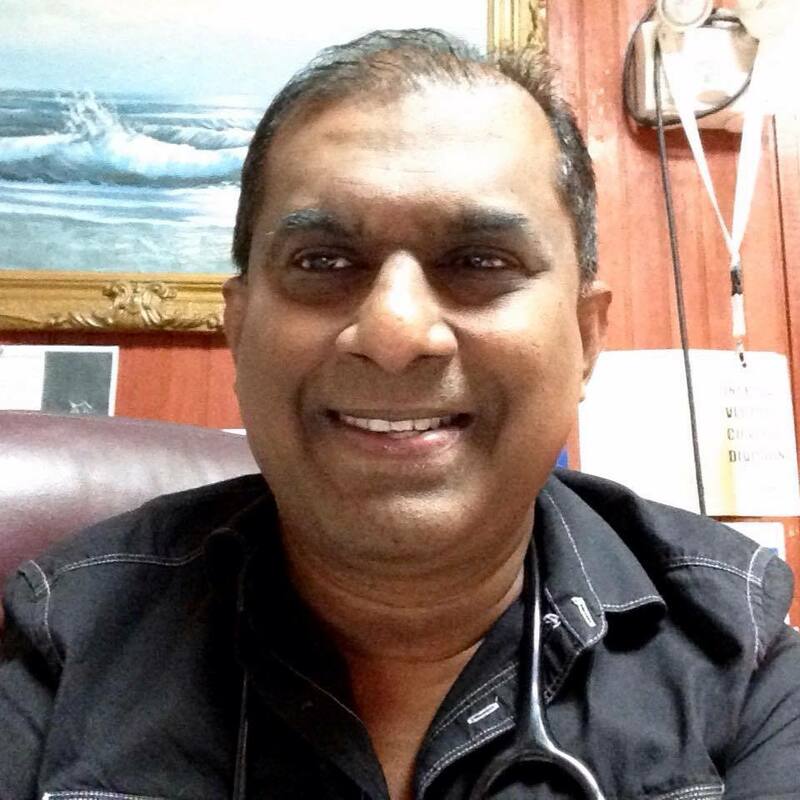 SEVERAL people, mainly from the St Helena and Kelly Village area of Caroni, have been treated for scorpion and centipede bites in a makeshift medical office put together by Dr Rai Ragbir. Economist Indera Sagewan-Alli, in a social media post, is seen interviewing Ragbir, who said when news reached him on Sunday morning that the St Helena Health Centre had to be closed because surrounding areas were inundated, he decided to put together a team of doctors. They include Dr Secharan and Dr Siddiq Ali. Up to this afternoon, Ragbir said, people were being treated at the clinic at the home of a resident. Video footage showed the house surrounded by water. Sagewan-Alli said the family housing the clinic had lost furniture and household items to the floods but decided to play good samaritan to the villagers. Ragbir and Seecharan bought most of the drugs they needed, and have treated people with lacerations to their feet and bronchitis, among other ailments. A number of elderly people who lost medication, especially for cardiac problems and diabetes, were treated. The clinic is on the Madras Road opposite the gas station and will be open until the health centre is reopened. Ragbir appealed to Health Minister Terrence Deyalsingh to ensure that the St Helena Health Centre is reopened, because of the growing number of people he anticipated would need medical attention in the next 24 hours. Reply to "Volunteer medics treat scorpion, centipede bites in Caroni"